Learn to Sign Week is an annual event which is organised by the British Deaf Association, usually in the first week of October. The idea behind the week is to raise awareness of sign language and promote it as a good thing to learn to the people of the UK – whether they are deaf, know someone who is deaf or just want to learn a new skill. The week consists of all manner of activities and events all over the country, with anyone who teaches sign language looking to promote their services to the wider public. The week is an ideal opportunity to introduce schoolchildren to the idea of sign language. A special website gets set up for children to learn a new phrase with their teacher every day or every week as the teacher so wishes. There are also packs produced which can be used in the classroom as a teaching aid. Children will also get certificates to prove they have participated in the event and learnt a new skill. The benefit of using the week as well is that it leaves a half term before Christmas in which children can start to learn more about deaf people and differences between groups of people. In addition, the event can be used as a fundraising challenge for youngsters to raise cash for deaf charities – access to the website is on condition of raising a minimum of £50. But this does not have to be the limit and children can help to raise as much money as possible through different events. Organisers also usually use the week as a chance to win educational equipment for a handful of schools. Other organisations can use the week as well as schools – and learning sign language can certainly benefit a whole range of people and not just schoolchildren. However, other organisations have to commit to raising £200 to get access to the website with the phrases on it. But the benefits of such an endeavour to workplaces are vast. Firstly, the fundraising element will help companies to reach their corporate social responsibility agreements. The new phrases will also offer staff an ideal opportunity to bond as they help each other to learn them. And it may even have surprising knock-on effects for the business as a whole. After all, you never know when you might come into contact with deaf people and being able to speak to them in sign language would help both the business and the customer. It is not hard to find out when Learn to Sign Week takes place. It is usually promoted on radio and in newspapers but if you really are struggling then contact the British Deaf Association. And if you are involved in a group of any kind, remember it is not just schools and offices which can benefit. Church groups, Brownies, Scouts, in fact any group where people come together and can learn together will all benefit immeasurably from Learn to Sign Week. 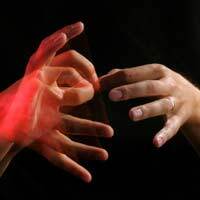 How Do Brains Process Sign Language? I think this is useful for anyone who wants to learn sign language and they will be able to speak to people who have hearing problems. I think this is very useful for children with hearing disabilities.